This is a book of wonderful theology, that goes to the heart of our difficulties as humans and as Christians, and portrays it through the beautiful story of David's life. "The story of the Bible can be regarded simply as the story of two men, Adam and Christ. It is the story of the sin of the first man and his failure to fulfil God's intentions, and the coming of the second Man to rescue the first from his miseries and take over from him. And the story continues right up to the present, for Adam lives today as surely as Jesus Christ does. "The Old Testament is full of types and foreshadowings of Christ, and nowhere in its pages is the story of the first man and the second Man so clearly typified as in the history of Israel's first two kings, Saul and David. I am not concerned merely to show the beautiful parallels between David and Christ, but to see in it all a pictorial presentation of certain great truths of the New Testament with regard to the Christian life, notably of the words, 'not I, but Christ'--perhaps the most complete description in the New Testament of the heart of the Christian life and how it is to be lived." Not I but Christ by Roy Hession was published by Rickfords Hill Publishing Ltd in July 2015 and is our 2654th best seller. The ISBN for Not I but Christ is 9781905044436. 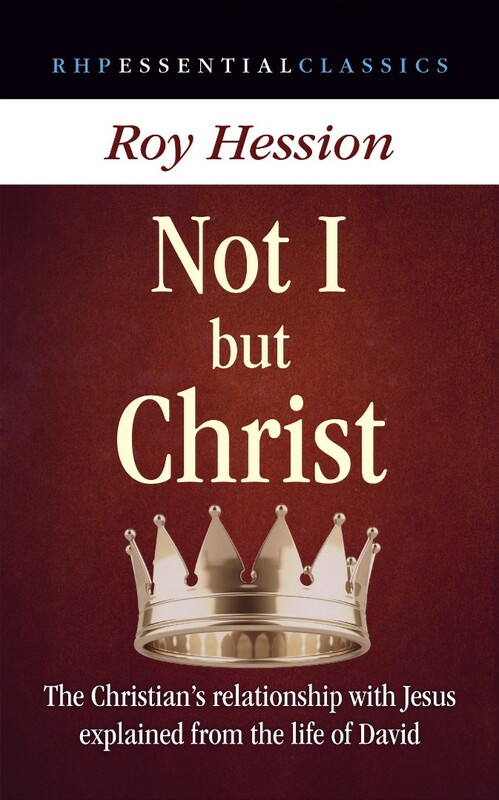 Be the first to review Not I but Christ! Got a question? No problem! Just click here to ask us about Not I but Christ.